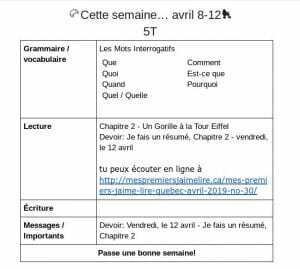 Category: Student Blogs | 2 Comments on Parents: All Aboard! 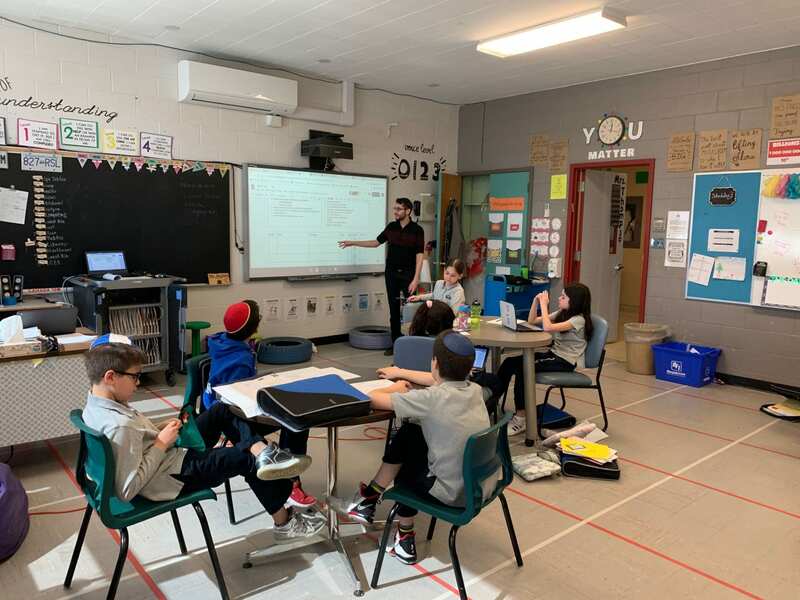 Our grade five classes are preparing for Passover. They were given a learning menu with many options of fun and different activities to complete. The excitement in the classroom is contagious. Click here to see the Learning Menu so you can take a look and enjoy. Stay tuned for some finished projects. 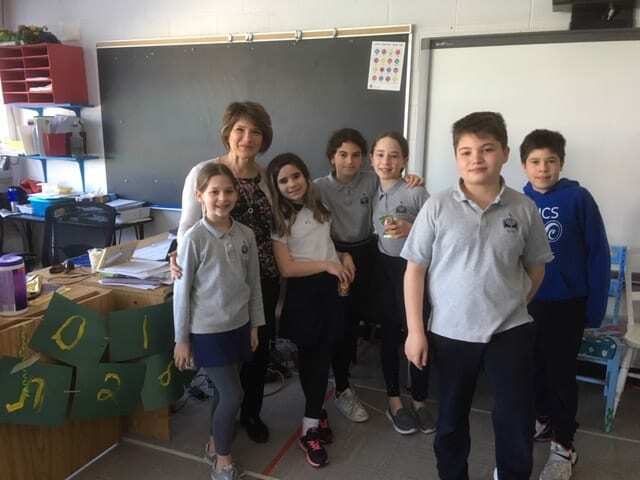 My Grade 5 students surprised me this morning with a beautiful party (decorations, food, presents….) for my birthday. I am so touched and so happy. Thank you so much! 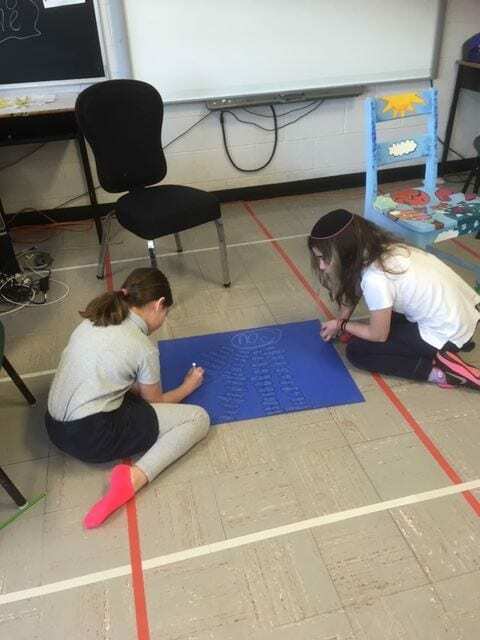 My Grade 5 was working on some brainstorming ideas for Pesach. These are some moments of the groups working on the project. Next week we will be having our Scholastic Book Fair! We are so excited to get to see all the new and exciting books Scholastic has to offer. 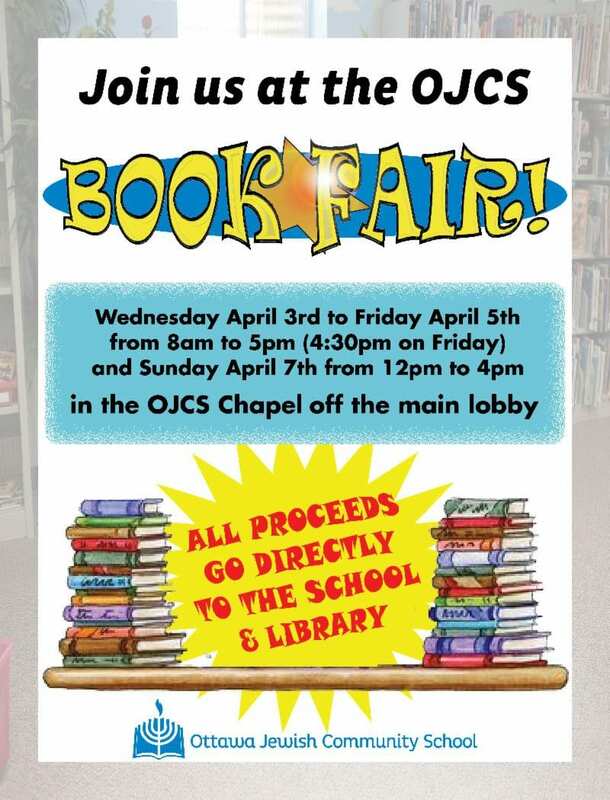 This is an amazing opportunity for students to choose their ‘Just Right’ books to read over the Passover Holiday! Our class will be visiting the fair on Wednesday, April 3, from 2:25 – 3:05. If you would like to buy something then, please remember to bring in some money. 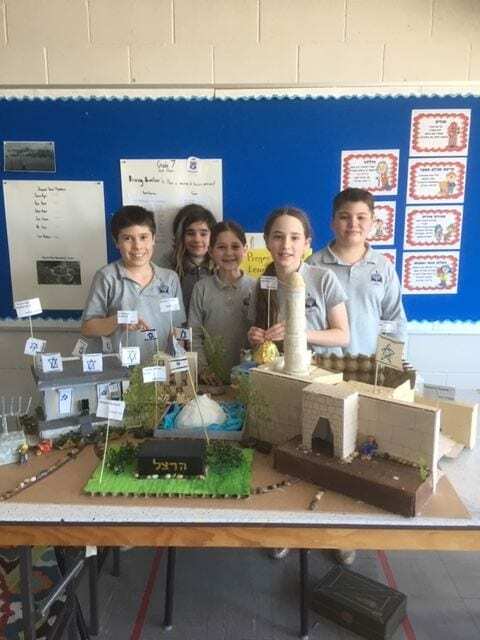 Grade 5 Ivrit students have been learning about Jerusalem; her places, it’s history, the different people that live there and the religions that are practiced in Jerusalem and much more. 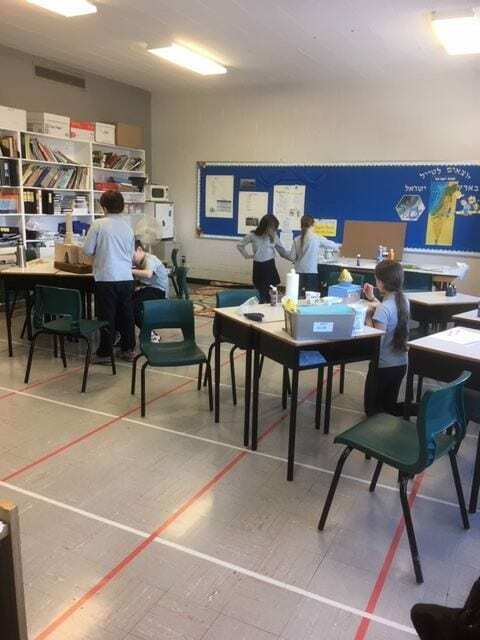 To conclude the unit and before moving on to learning about Yam Hamelach (the Dead Sea), students were very busy building a small model of Jerusalem. As you can see, the model of Jerusalem turned out beautifully! 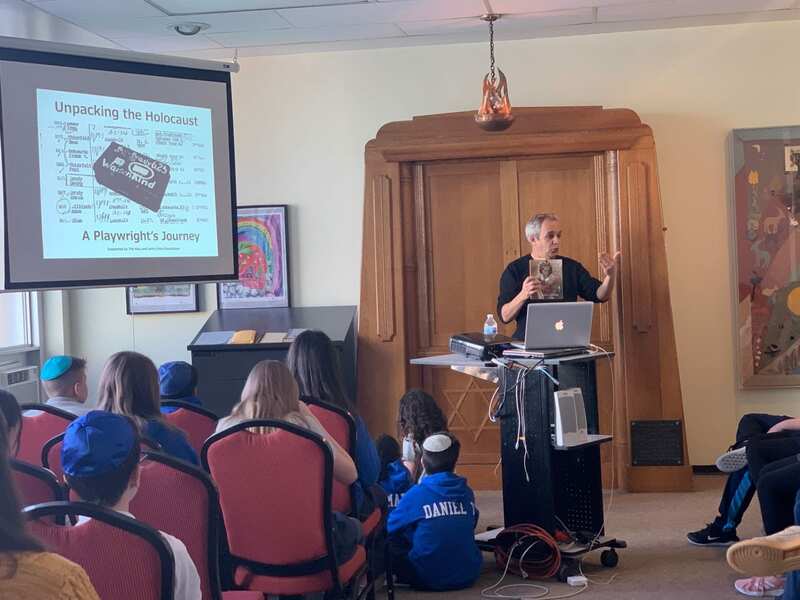 We had an incredible visit from playwright, Emil Sher, yesterday. He came to speak to grades 5-8 about turning Hana’s Suitcase into a play. It was captivating, informative and extremely enjoyable to learn from him. In our ongoing effort to develop our media literacy skills, the grade 5 students helped me tweet out about his visit. We had a pleasant surprise this morning when we checked up on the status of the Tweet! 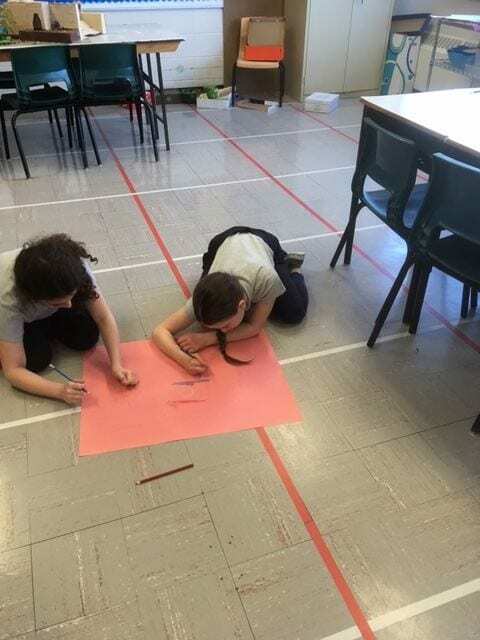 Check out my blog post to see what we found, and what we did with the information! Our multiplication and division skills have also been improving! We will be having a test next Tuesday, April 2. 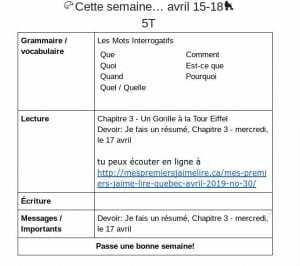 Here is a link to the test outline. Today, Mr. Kom also helped us with our study skills. 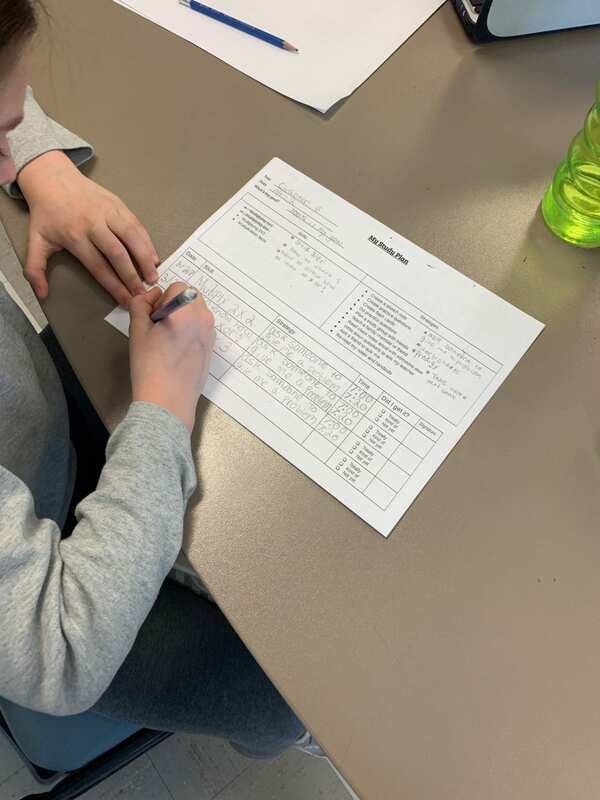 He shared this planner with us, which each student has started to fill out for themselves. Depending on each student’s extra-curricular activities and schedules, their planner will look different. 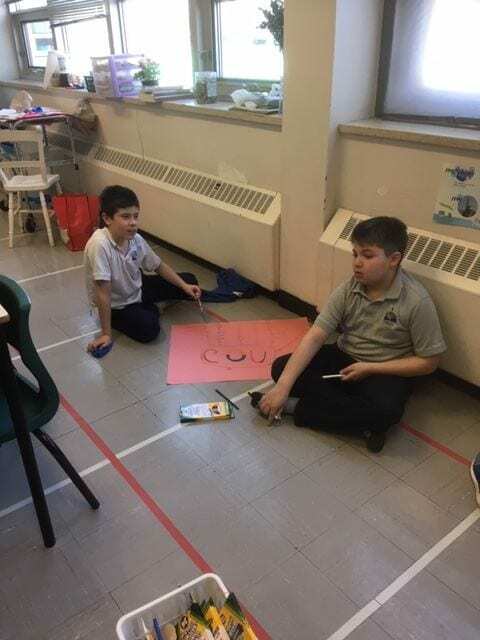 Students are encouraged to practice using whichever tools they feel work best for them. 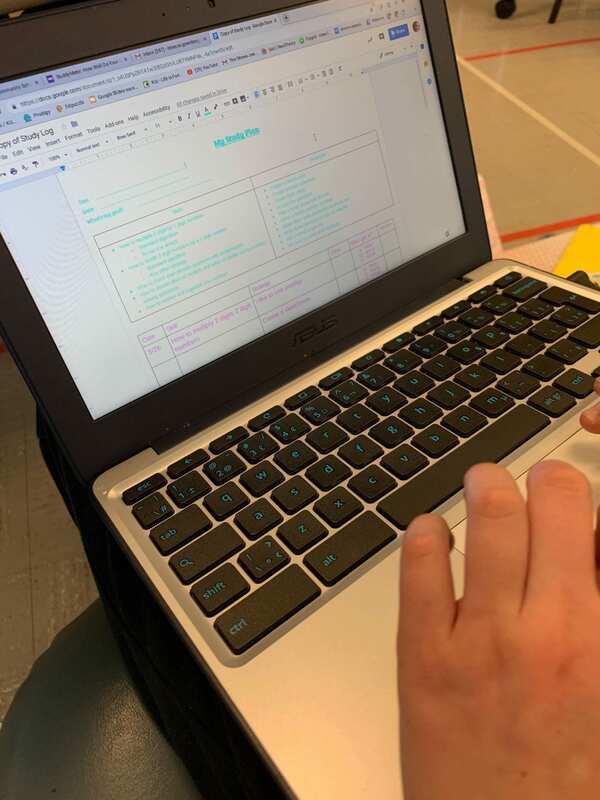 As always, extra practice worksheets will be provided in class, students can take the textbook home, they can practice on Prodigy, and they can explore some of the other suggestions made as well. Here are two videos reviewing the strategies we’ve learned for both multiplication and division.